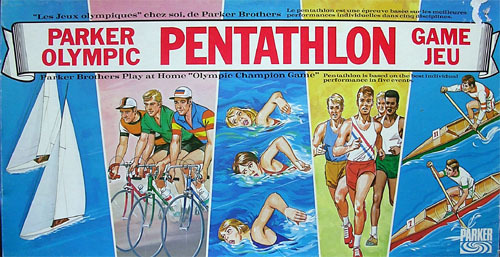 This Parker Olympic Pentathlon Game is quite disappointing. 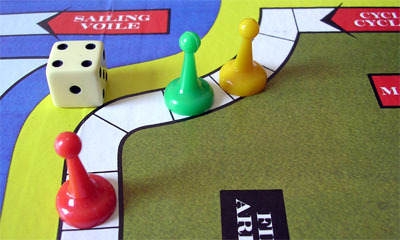 The players race each other on 5 tracks simultaneously. 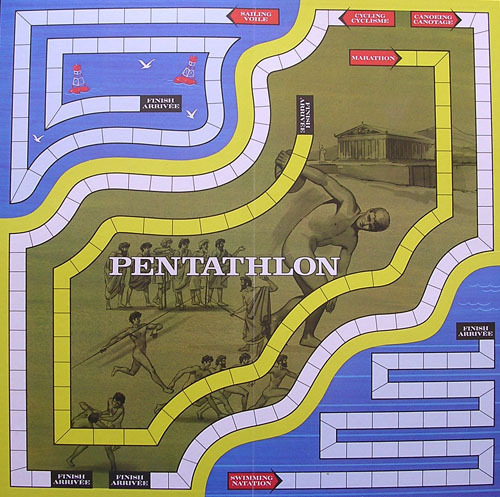 The rules for the five races are the same. Yatchting or cyling, running or swimming, what difference does it make?